We conduct Harmonic Analysis and Energy Audit to Electrical network systems and provide Complete Solution for industrial, Commercial & Utility in order to improve power quality through reactive power compensation and harmonic control. Does Energy Conservation in your electrical installation generate Harmonics? Are your Equipments & Electrical systems getting affected due to Harmonics? Are you ready to pay penalties for generating Harmonics? Are your neighbors generating Harmonics which are affecting your systems? The harmonic is defined as one of the components obtained from the breakdown of a periodic wave in the Fourier series. The order of a harmonic is further defined as the ratio between the frequency of the harmonic and the fundamental frequency of the periodic wave considered. Harmonic is current or voltage that appear on the electrical power system as a result of non-linear loads. A frequency that is integer multiples of the fundamental frequency of 50 Hz, the 3rd harmonic is 150 Hz, the 5th is 250 Hz etc. Harmonic Frequencies in the power grid are a frequent cause of Power Quality problems. Harmonic frequencies from 3rd to 25th are the most common range measured in Industries. Where do Harmonics Come from? Equipment containing electronics that control other apparatus, e.g. 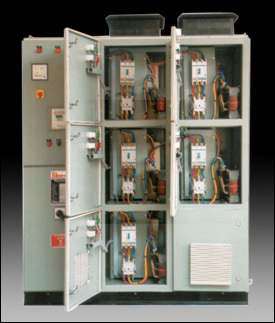 variable speed drives, soft starters, static compensators, rectifiers, etc. In certain cases, transformers, reactors and rotating machines. Harmonics are not only found in industrial networks. 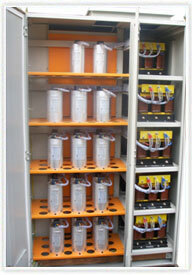 They can also spread into the distribution network and cause problems for other power users. What problems can Harmonic cause? Thorough know-how and experience is required to design harmonic filters properly. Each plant is unique and needs its own special technical solution. Both system and component know-how are essential to find the optimum solution in each individual case. 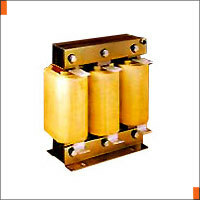 An important component in the filter is the capacitor. Since it copes with the whole harmonic content, it must be designed with the greatest care. What do PF Capacitors have to do with Harmonics? In an industrial plant containing power factor correction capacitors, harmonics distortions can be magnified due to the interaction between the capacitors and the service transformer. This is referred to as harmonic resonance or parallel resonance. It is important to note that capacitors themselves are not main cause of harmonics, but only aggravate potential harmonic problems. 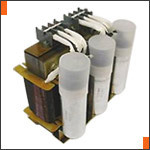 Often, harmonic-related problems do not show up until capacitors are applied for power factor correction. Single line diagram of plant showing the power distribution to different connected equipment. Contact Us for a Free Consultation on How We Can Help You with Your Power Quality Audit Needs.